The exodus of doctors and nurses from Sierra Leone for jobs in the UK and other wealthy countries left the West African state “woefully short” of trained medical staff when the Ebola virus struck, MPs have said. 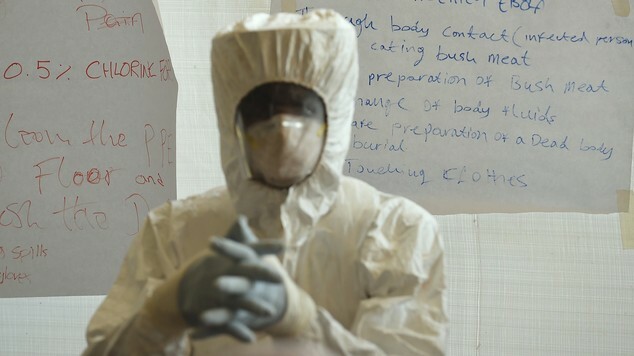 The Commons International Development Committee said the health system in Sierra Leone had been “overwhelmed” by the epidemic which continued to “outpace” efforts to contain it.It criticised the Department for International Development (Dfid) for initially underestimating the scale of the Ebola crisis and warned that the World Health Organisation’s systems for dealing with such emergencies were “dangerously inadequate”. MPs said the health system in Sierra Leone had been “overwhelmed” by the epidemicAt the same time, the committee said that Sierra Leone was paying the price for the failure of rich countries to train sufficient medical staff for their own needs forcing them to turn to recruits from overseas. After a slow start, the committee praised the “vigour” of Dfid’s efforts in Sierra Leone – where the UK is the lead bilateral donor- delivering 700 treatment beds, supporting 200 community care centres and deploying 750 troops. But it expressed concern that the epidemic had still not been brought under control. “We are concerned that Ebola continues to outpace efforts to address it,” it said. The committee also echoed David Cameron in criticising the slow response of the World Health Organisation (WHO) to the crisis – in part due to cuts in funding from member states. “The global health system remains dangerously inadequate for responding to health emergencies,” it said. The committee chairman, Sir Malcolm Bruce, said that strengthening health systems should now form the centrepiece of Dfid’s reconstruction effort in Sierra Leone. “Had more attention been paid over recent years to strengthening the health system as we have recommended in the past, and had more Sierra Leonean health professionals been retained in the domestic system, the impact of Ebola would have been less severe. “So too would have been the cost of tackling the outbreak,” he said. A Dfid spokesman said the UK’s effort in Sierra Leone was having a “significant impact” in tackling what was an “unprecedented” epidemic. “There are very few health systems in the world that could withstand a health crisis on this scale, but it is right to say we need to learn lessons from how the WHO and the international community responded,” the spokesman said.